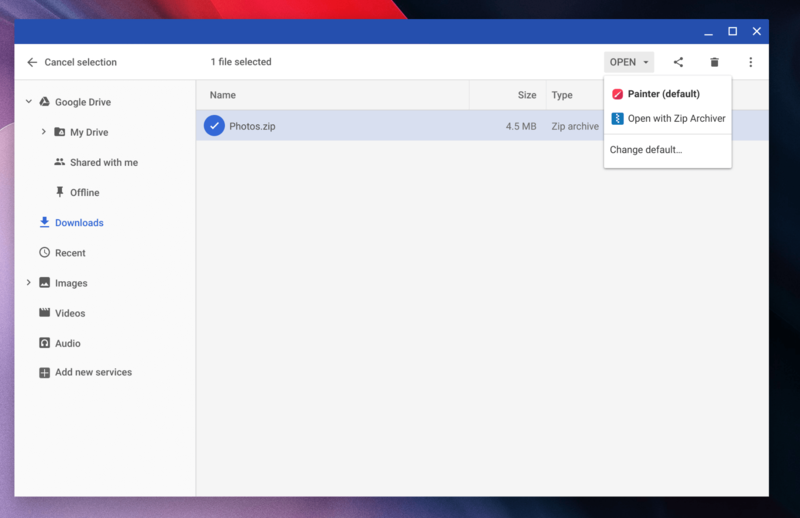 First, open up the Files app on your Chromebook and select (but don’t open) the file you are wanting to change the default app to use to open it. Now in the toolbar at the top of the Files app, you should see an “Open” option with a small down carrot next to it. Tap that carrot and you will see the apps that can open that file type with the default app designated as such. 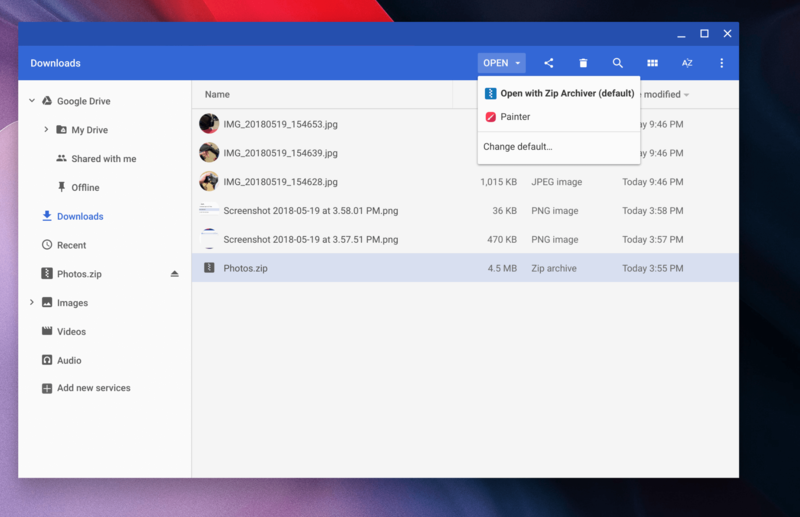 Note that the apps listed can include both apps built into Chrome OS, web apps you have installed, as well as Android apps you may have installed. For this How To, you need to click the “Change Default…” option on this menu. This will open up a small dialog box which will allow you to click the app that you want to designate as your default app for that file type. Click the one that you want to use and the dialog box will disappear. This is the one thing that makes this How To a bit tricky. How do you know you were successful in changing your default app? Basically you need to repeat the first step. 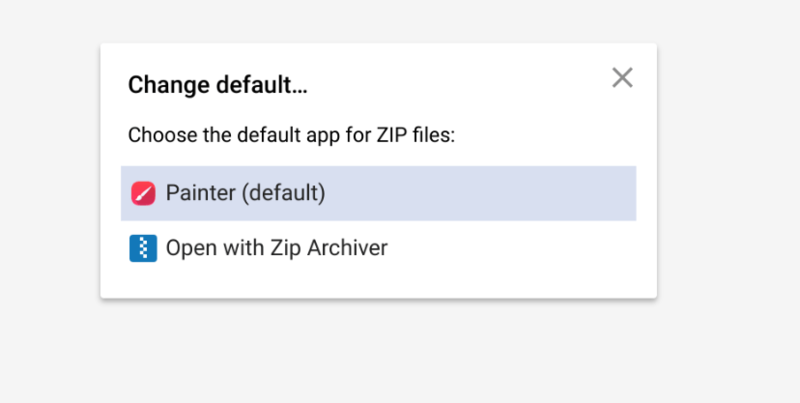 Close the Files app, reopen it, select the file type and then use the down carrot on the Open menu to see what is now your default app. Note in my first screenshot that Painter was my default app for opening .ZIP files (I have no idea how this happened but whatever…) but in my last screenshot you now see that Zip Archiver is now my default app for .ZIP files. As mentioned, you can designate any app as a default app, be it a Chrome OS built-in app, a web app you downloaded from the Web Store, or an Android app. So long as it can open that type of file, you should see it in the listing of available apps when you want to change your default app. For more How To’s, be sure to check out the Tips & Tricks section of the site.